Our mission is to build a partnership of students, families, staff and community members in order to create an educational community dedicated to excellence. 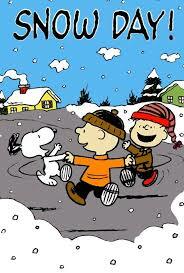 The Stamford Central School Board of Education approved to use the two remaining emergency days (snow days) to be on Friday, May 24, 2019 and Tuesday, May 28, 2019 (pending no further emergencies). This means students will not be in school on those days. Please plan accordingly. Click on the link below for a letter from Dr. Glen A. Huot and Ms. Shawn L. Davis. Click on the link below for FAQ's about Grades 3-8 testing. Please come and help support our student in need during his health challenge. -tickets are available on site. Stamford Central School would like to let parents and guardians know of important information. Please do not enter the building until after 2:45 p.m. to pick up your children. Only in the event that you need to sign your children out of school for an appointment will you be entering the building before 2:45 p.m.
Students are not to be dropped off at school in the morning until 7:45 a.m. or later. Supervision is not available until 7:45 a.m. Students will be standing outside until the doors unlock at 7:45 a.m. Following this rule will ensure safety for your children. This information is for the safety of all the students on the school property. We appreciate your understanding and hope that you follow our guidelines.